Barbara provides risk management advice to the firm's national network of offices. 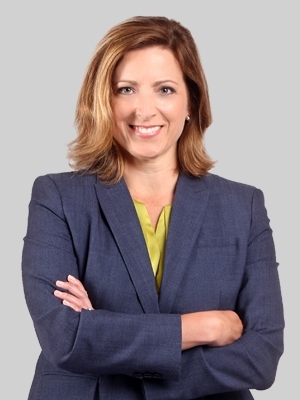 She has significant experience in attorney ethics and professional liability, acquired in roles with the Disciplinary Board of the Supreme Court of Pennsylvania and as a partner with a Philadelphia-based law firm. In her position with the Office of Disciplinary Counsel, Barbara investigated disciplinary complaints and prosecuted professional conduct violations. She worked closely with investigators and auditors to develop and present the facts of cases to hearing committees, the disciplinary board and the Supreme Court of Pennsylvania. She also prepared and presented continuing legal education programming on attorney ethics. Barbara’s private practice experience includes commercial liability work representing clients that included lawyers and large law firms against claims that included breach of contract, fraud, misappropriation of confidential information and trade secrets, professional liability and other matters in state and federal court. Before joining Fox, Barbara served as disciplinary counsel for the Pennsylvania Office of Disciplinary Counsel of the Disciplinary Board of the Supreme Court of Pennsylvania. Previously, she was a commercial litigator at the Philadelphia law firm of Harkins Cunningham LLP, where she was elevated to partner in 2006. During law school, Barbara externed with the Office of the U.S. Attorney in Camden, N.J. and interned for the Honorable Robert B. Kugler, U.S. Magistrate Judge, Camden, New Jersey.